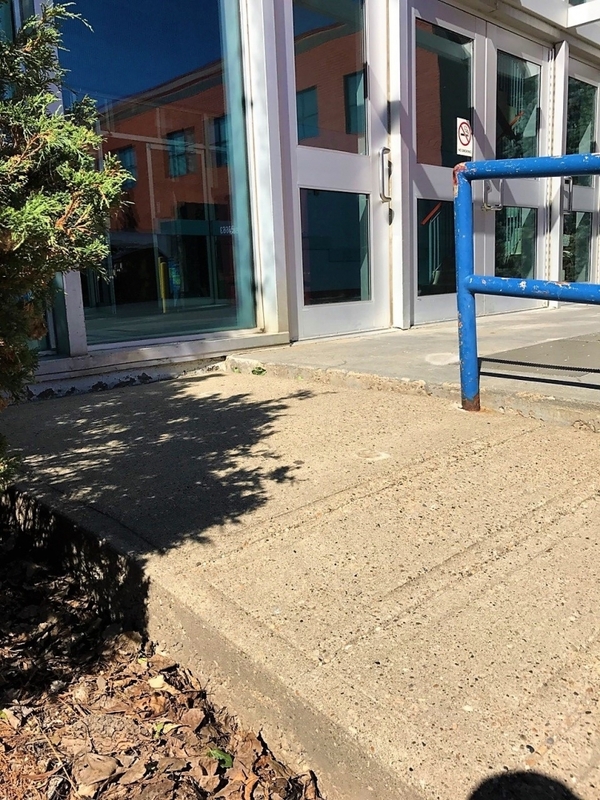 Access ramp at busy door had settled from main stairs creating a large trip and making wheelchair navigation extremely difficult. Using our polyurethane foam technology we injected material through a series of 5/8" holes under the ramp, which lifted the concrete and leveled the transition. 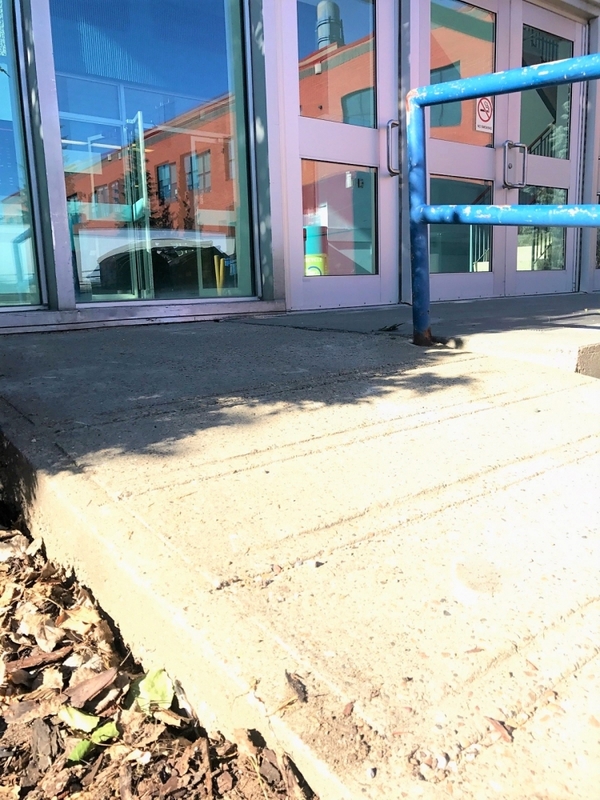 The entire project only took 2 hours and the door and ramp way was immediately returned to service.